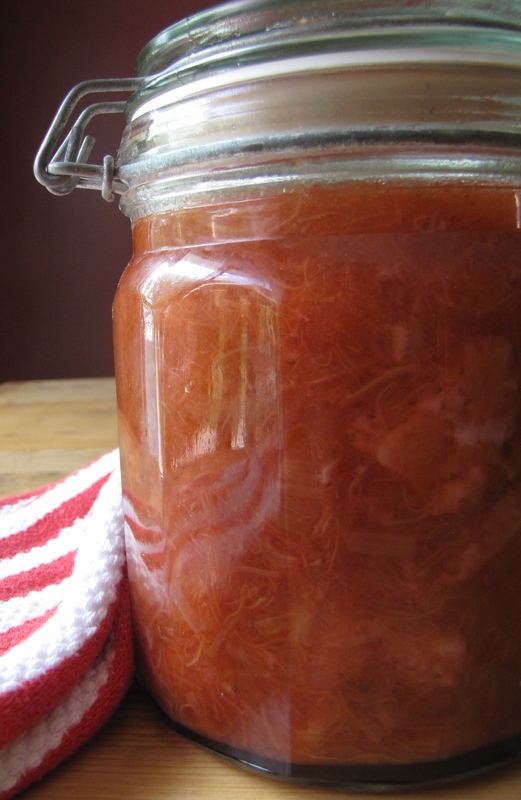 Simply put, a compote is fruit cooked in a syrup – but not to the setting point like jam. My Nanna used to make ‘stewed’ fruit, or compotes, all the time. Two of my favorite seasonal spring offerings, strawberries and rhubarb, make the perfect compote pair. From start to finish, this compote takes about 20 minutes. 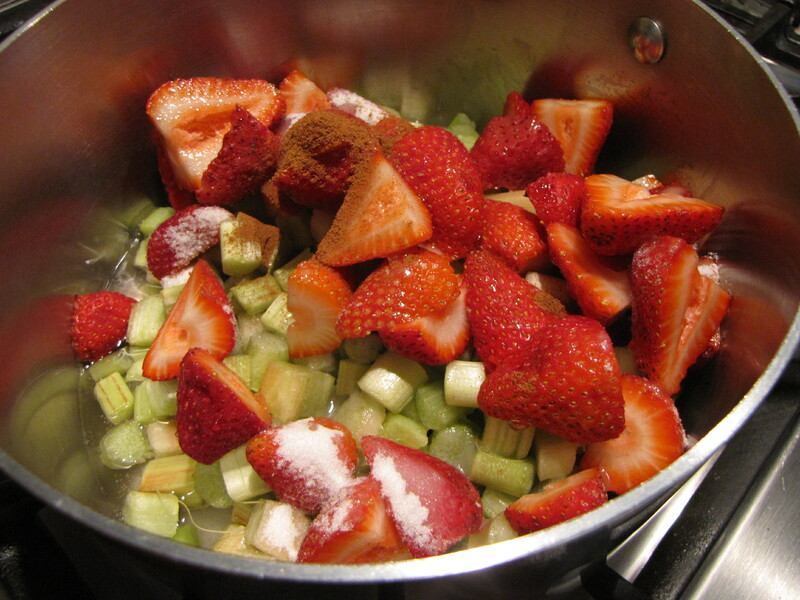 Combine rhubarb, strawberries, sugar, cinnamon and winter. Bring the mixture to a simmer. Cook until the rhubarb is tender which will take about 10 minutes. You’ll end up with a syrup-like mixture, that’s not too sweet, with large pieces of fruit in it. What I especially like about a compote is that the fruit, while cooked, still retains a fresh taste. Maybe because it has less sugar in it than a jam or jelly? So now your compote is ready to eat. What do you do with it? Serve with pancakes, pour over ice cream, spread on a buttermilk biscuit. Or if you’re like me, you can just eat it by the spoonful. 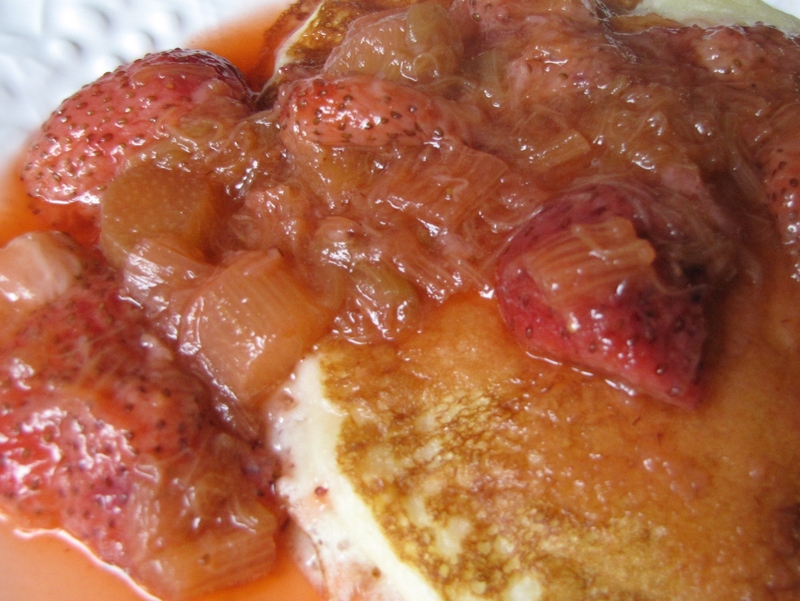 We switched things up and replaced maple syrup with strawberry rhubarb compote on our pancakes. Delish! This is a perfect beginner recipe if you want to try making something different with strawberries and rhubarb. 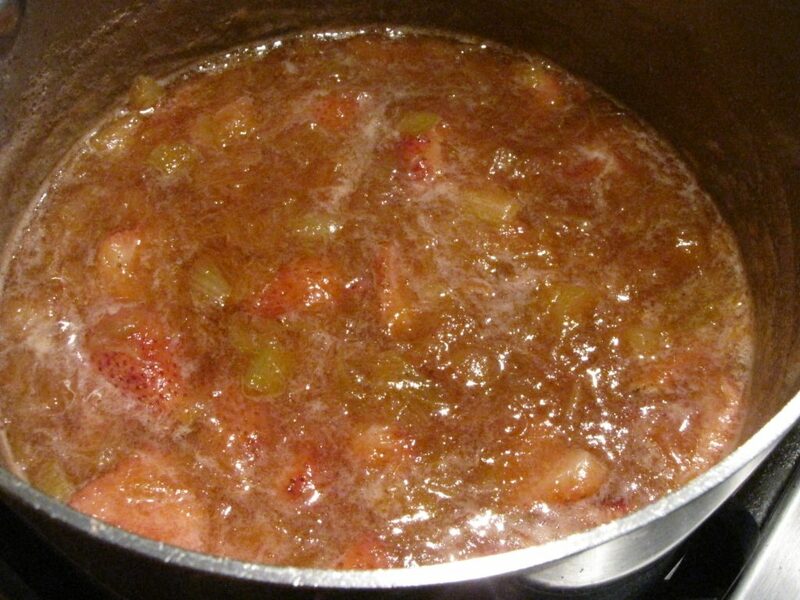 A recipe for a quick and easy strawberry rhubarb compote.